Line transect surveys are widely used for estimating abundance of primate populations. The method relies on a small number of key assumptions, and if these are not met, substantial bias may occur. For a variety of reasons, primate surveys often do not follow what is generally considered to be best practice, either in survey design or in analysis. The design often comprises too few lines (sometimes just 1), subjectively placed or placed along trails, so lacks both randomization and adequate replication. 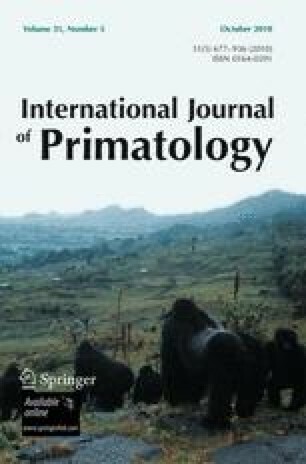 Analysis often involves flawed or inefficient models, and often uses biased estimates of the locations of primate groups relative to the line. We outline the standard method, emphasizing the assumptions underlying the approach. We then consider options for when it is difficult or impossible to meet key assumptions. We explore the performance of these options by simulation, focusing particularly on the analysis of primate group sizes, where many of the variations in survey methods have been developed. We also discuss design issues, field methods, analysis, and potential alternative methodologies for when standard line transect sampling cannot deliver reliable abundance estimates. We thank Anne Savage, Ben Rawson, 2 referees, and the editor for their constructive comments, which led to a much improved paper.